"While juicy Merlot dominates this wine, the structure comes from the perfumed Cabernet Sauvignon that brings out the tannins, while the fruit is packed with blackberry flavors. This ripe wine needs to develop over the next few years. Drink from 2017." It was back in 1890 that the Roses family and Château Haut Bellevue started their story. The estate now boasts 16 hectares of Merlot, Cabernet Sauvignon and Petit Verdot on magnificent soils composed exclusively of light gravel on the stretch of higher land between Margaux and Saint Estèphe on the banks of the Gironde that has built the reputation of the Médoc. Corinne and Alain Roses have succeeded in getting the very essence out of their land. Chateau La Tour-de-By is a 74 hectare property overlooking the Gironde at Begadan planted with 65% Cabernet Sauvignon, 30% Merlot, 3% Cabernet Franc and 2% Petit Verdot. The wines are very robust with classic earthy Medoc fruit and can age quite happily for 10-12 years if cellared correctly. The Guichard family have owned Ch Siaurac since 1832, and Paul Goldschmidt has been in charge for the past decade. Last year François Pinault, proprietor of Ch Latour purchased a half share and his technical team are now familiarising themselves with the property with a view to further investment. Ch Siaurac is one of the largest estates in Lalande de Pomerol, which itself is an extension of the Pomerol plateau. There are 40 separate plots of vines extending to 46 hectares incorporating gravels and clays, planted with 72 % Merlot, 22 % Cabernet-Franc and 6 % Malbec. The Chateau lies less than 1km from Ch Petrus! Pale golden in colour with a fine mousse and a hallmark bouquet of honey on toast. Smooth and creamy, this champagne is made mainly from Pinot Noir in the more southerly Aube region where it achieves lovely ripeness and balance of flavours. Ideal inexpensive champagne for larger celebrations! The Gallimard family have been making champagne since 1930, the year when Jules and Ernest Gallimard, already vinegrowers, decided to produce their own bottles of champagne. Didier Gallimard is currently running the domaine which covers 10 hectares of prime vineyards on the steep slopes around Les Riceys in the southern Aube; his vines' average age is 30 years and the vineyards which are of chalk and limestone are planted mainly to Pinot Noir and just a little Chardonnay - the Pinot Noir grapes here achieve lovely ripeness and lend a soft fruitiness to the wines. A wonderfully fresh nose is more restrained than that the Latricières with an even earthier array of deeply pitched black currant, plum and violent scented aromas that are again trimmed in gentle wood nuances. The overtly muscular and attractively stony big-bodied flavors possess solid mid-palate concentration that does a fine job of buffering the firm supporting tannins on the moderately austere, persistent and slightly better balanced finish. This backward effort will likely need 12 to 15 years to reveal its full potential. These were mainly superb follow-ups to their 2012s, even if one or two of their vineyards were touched by hail. 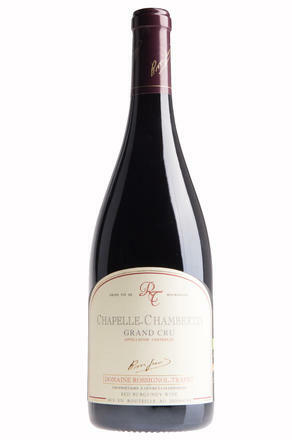 At the top end those grand crus really prove their class, in particular the Chapelle-Chambertin and Chambertin itself. Perhaps the premier crus do not quite have the class of their 2012s, but wines like the Gevrey la Petite Chapelle punch above their weight. Overall, I was immensely pleased with these 2013s and, given that they tend to be more reasonably priced than other Gevrey growers, they come highly recommended. 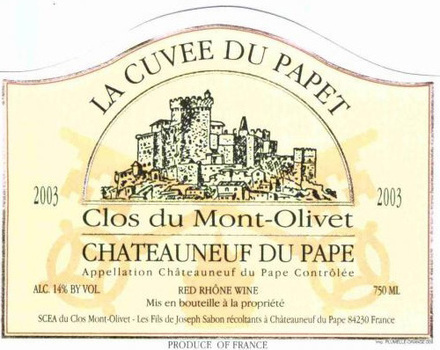 98+ Points, Robert Parker: "The 2007 Chateauneuf du Pape La Cuvee du Papet may will turn out to be their finest example since the 1998 and 1990. Stylistically, it probably comes closest to resembling the legendary 1990. Notes of roasted meats and smoked duck, with Provencal herbs, truffle, incense, licorice, and pepper, are all there, plus enormous quantities of red and black fruits. This is one heck of a complex wine, with a bouquet that is the essence of southern France, in particular Provence. Full-bodied, powerful, with the glycerin and level of richness covering some lofty tannins, this wine is already accessible and nearly impossible to resist, but my instincts suggest it will be absolutely glorious in another 4-5 years and keep for 15-20." Owned by the Cazes family, this is a classic Graves that offers excellent value. The 2016 is a deep, rich ruby colour and attractively rustic in expression. It opens well in the glass, with a good balance of freshness and enticingly ripe plum fruits, kept in place by tannins that offer just the right amount of tension for a wine that is aimed at medium term drinking. Chateau Villa Bel-Air is located in Saint-Morillon in the heart of the “Graves” appellation. In the 18th century, Louis Dufaure, Marquis de Lajarte, a councillor in the Bordeaux Parliament, built a beautiful classical mansion on the site of the Bel-Air wine property. Today, the interior design of the property is classified a Historical Monument. After a long dormant period, the property was bought in 1988 by Jean-Michel Cazes and his family. From this date they completely restructured the vineyards and the technical installations prompting Robert Parker in 2005 to comment "The property has undergone numerous improvements aimed at heightening the quality of the vineyard and its wines (…) Many wine lovers have yet to discover the excellence of this great wine."